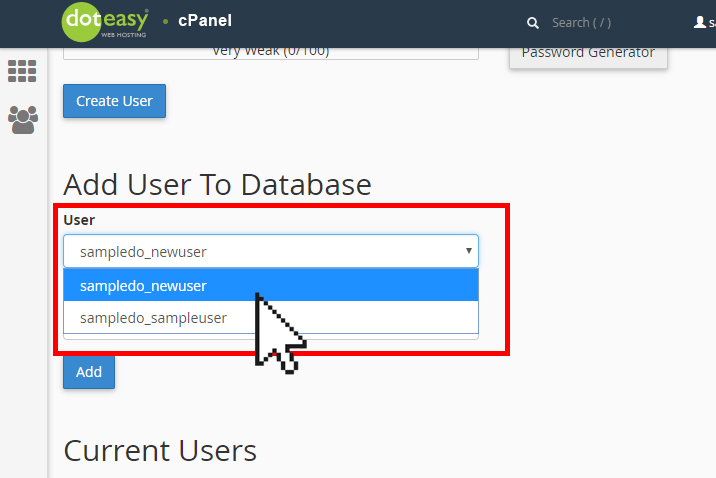 Under Add User to Database, select the user that you want to add from the User drop-down menu. 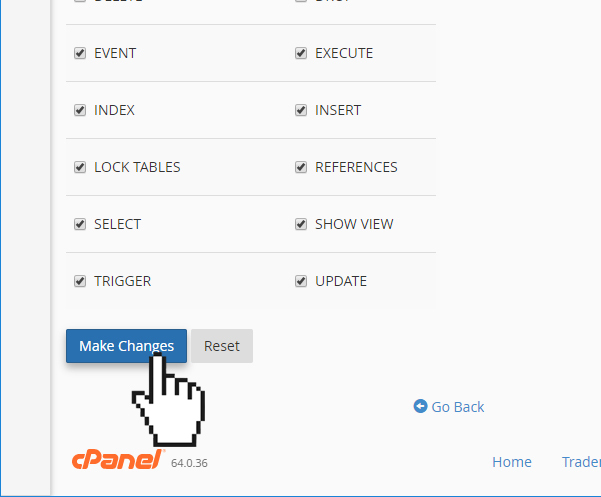 In the Database drop-down menu, select the database. 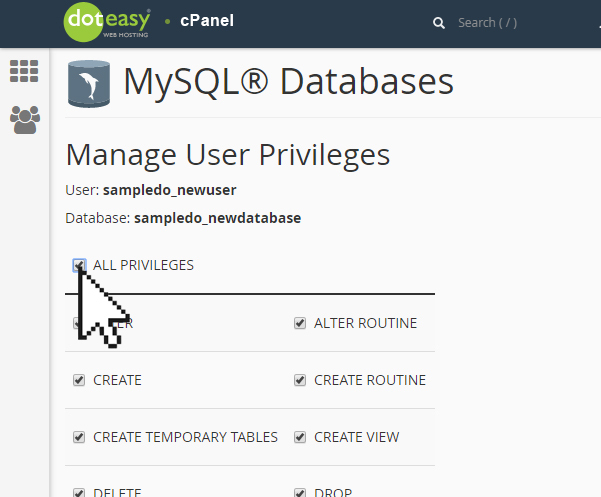 Select the privileges you want to grant the user, or click ALL PRIVILEGES to grant the user all permissions to the database. That’s it! 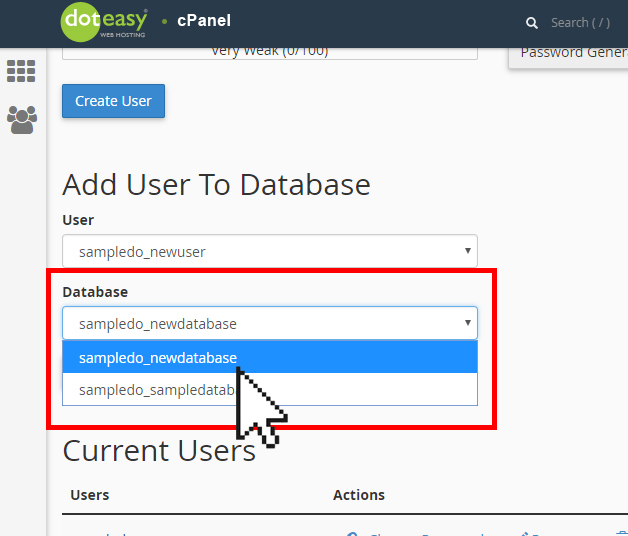 You can now see the user assigned to the database in the Current Databases table.